Bring a touch of Moroccan style to your home with the Tangier bedding collected presented by Thomasville Home Fashions. Tangier features aqua, lime green, and gray in a beautiful mix of patterns. Add in the lime green or orange throw pillows to finish of the look. 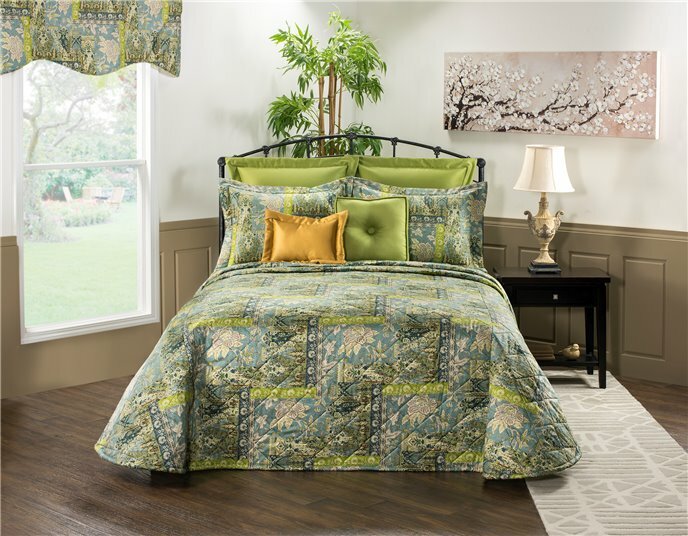 This ensemble also includes a shower curtain to spruce up your bedroom and window treatments so you can take the Tangier collection to any room in your house!